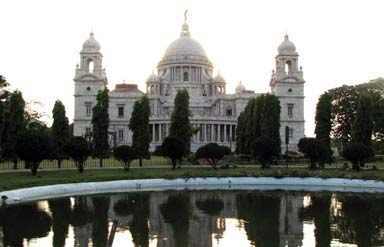 This is one of the most enduring Colonial era edifices of Kolkatta. This grand structure is the reminder of the military power that was supreme and remains as one impressive colonial era structures. This magnificent structure was built by Robert Clive in 1781 and named after King William III of England. The fort is sprawled over an area of 5 sq. km well-known for its serene, calm and green beautiful surroundings. The basic purpose of setting up this fort was to prevent attacks from Muslim invaders. The architectural brilliance of this fort is reflected trough its magnificent constructions. 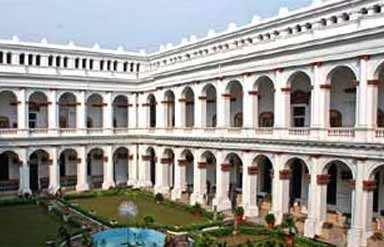 This fort is accessible through the six gates namely Water gate, Chowringhee, Plassey, Treasury, Calcutta and St. Georges. The Fort was octagonal in shape with three sides facing river Ganges which protects it from attacks. And to avoid water scarcity there were underground tunnels linked with river Ganga. The museum of this fort houses arms and armors, swords, muskets and machine-guns. Another section has photographs of the Burma campaign and of the Bangladesh Liberation War. The Arsenal inside is worth visiting with a prior permission required from the Commanding Officer of Fort William. The Fort is built of brick and mortar in the shape of an irregular octagon with an area 5 sq. km. The five side of this fort faces landward and three towards the Hooghly River. It is surrounded by a dry moat 9 meter deep and 15 meter broad which can be flooded but is designed as an area in which to use enfilade fire against any attackers reaching the walls.